Asheville has more craft breweries per capita than any U.S. city. 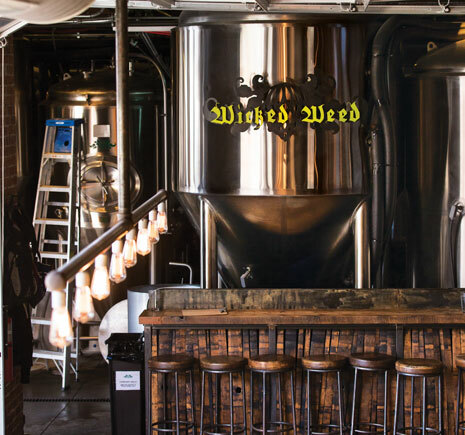 Asheville, North Carolina has quickly become known among discerning beer drinkers as one of the nation’s top destinations and exporters of esteemed, high-quality craft beverages. More than 20 breweries are pouring over 200 local craft beers on tap any given day, from microbreweries like The Wedge to Wicked Weed Brewing. You’ll find award-winning IPAs and coffee stouts to sought-after Belgian and sour ales. Craft Brewing is rooted in the Asheville area’s thriving hospitality industry, ingenuity in manufacturing, and a deep appreciation for hand crafted traditions. That Appalachian craft culture is embraced widely, from artists and makers to local agriculture and Asheville’s renowned farm-to-table dining scene. Visitors have long been attracted via the Blue Ridge Parkway to the area’s inspiring natural beauty, waterfalls and a mountainous terrain coveted for its mountain biking, hiking, kayaking, and fishing – now often followed by a refreshing local brew. Asheville’s craft brewing industry began in 1994 with Oscar Wong, a visionary entrepreneur with a passion for good beer. From its first barrels of Celtic Ale rolling out of a basement downtown, Highland Brewing Company has led North Carolina as its largest homegrown brewery, today employing more than 60 and distributing its 50,000 barrels annually to nine eastern states and D.C. Its founder, Oscar (above with daughter Leah), is considered the Godfather of craft beer in Western North Carolina. Next came Green Man, Asheville Brewing Company, and then the industry boomed. From 2011-2014, the number of craft breweries and brewpubs had nearly doubled to 19 and counting. In 2015, at least a quarter of the county’s breweries were in the process of a large expansion, many of which distribute to at least a multi-state region. Today the South Slope is hopping with new breweries in retrofitted brick warehouses, totaling nine within less than a mile walk. Since first winning the Beer City USA title in 2009, Asheville continues to edge out competitor cities like Grand Rapids and Portland almost every year. This reputation recently attracted new east coast breweries from three of the nation’s 10 largest craft brewers—Sierra Nevada, Oskar Blues, and New Belgium Brewing. Lush with mountain apple orchards, Western NC attracts many hard cider producers in an industry that’s recently tripled. 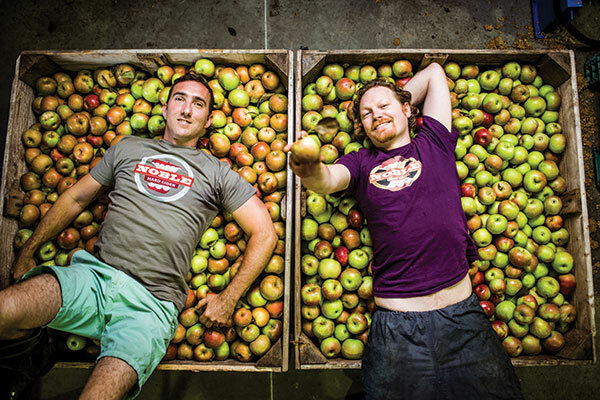 The metro area has six cideries, such as Noble Cider, Urban Orchard Cider Co., and Bold Rock, which distributes across the Mid-Atlantic and Southeast. Asheville Metro attracts over 10,000,000 visitors annually, packing a punch as a tourism destination with 450,000 residents. Naturally word about Asheville’s beer scene travels far, and so does its bottled products. Two major interstates, I-40 and I-26, interest in Asheville, with 100 million people living within a 500-mile radius. 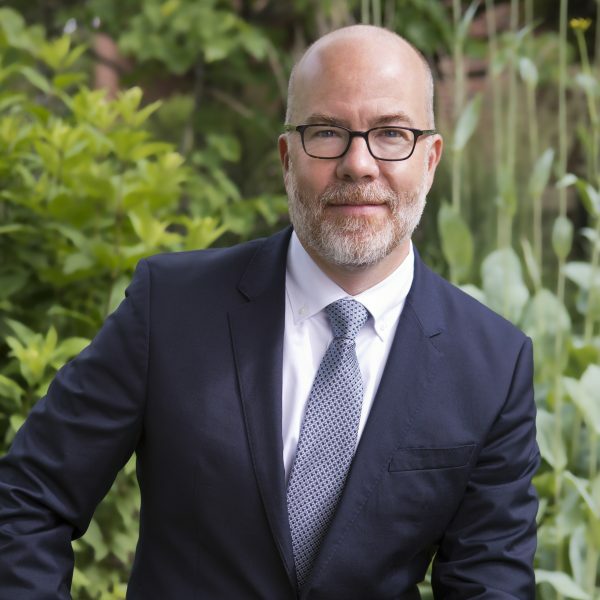 Many craft beverage manufacturers export to regional markets, and a few companies like New Belgium and Sierra Nevada distribute nationally and as far as Europe. 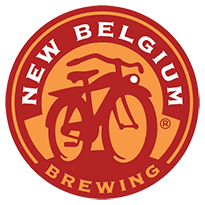 The nation’s 3rd largest craft brewer, New Belgium Brewing opened its new east coast brewery in 2016 on a reclaimed site near the River Arts District. 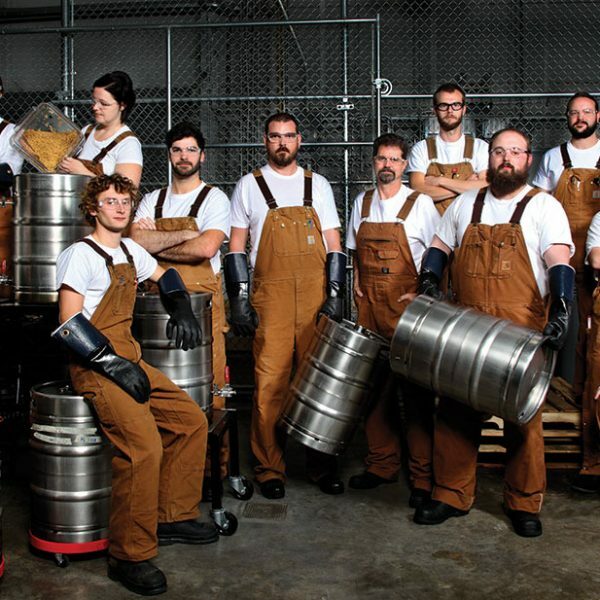 The employee-owned, Certified B Corp was drawn to Asheville’s sustainability ethics, depth in brewing talent, a 20,000-acre protected watershed, and a collaborative culture of innovation among craft brewers. The facility has a production capacity of 500,000 barrels and will draw 200,000 visitors annually. 877 jobs in brewery industry activity created or supported another 1694 jobs in the local economy. For every 1 job, nearly 2 more jobs were supported. Labor income associated with brewing activity jobs accounted for $111 million, adding to local household spending power. Total output or production was estimated at $934 million contribution. 2751 workers were paid $111 million in Labor Income as part of companies' $365 million contribution to the Gross Regional Product in the Asheville MSA. An estimated $205 million in state, local, and federal tax revenues were contributed from transactions such as taxes on production and corporate profits. These revenues may go towards public services such as public safety, parks, education, transportation, etc. Average earnings per direct job in brewery industry activity was over $55K. With indirect and induced effects included, the average was estimated at $43K. In the Asheville metro market, the top five industries impacted (by employment) were Breweries Manufacturing. All Other Crop Farming, Wholesale Trade, Truck Transportation and All Other Food and Drinking Places.